A blog for book lovers who read Y.A., manga, historical fiction, DIY, chick-lit, and the occasional Non-Fiction. Reviewed books are posted on Amazon, Goodreads, and tweeted on Twitter! Follow @mmarroquinbooks to stay connected! 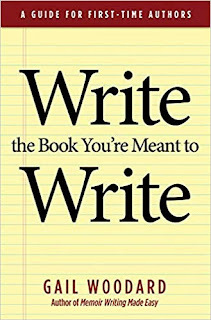 Review: In Woodard's book, Write the Book You're Mean't to Write, she helps you identify why you want to write a book and if it's something you are ready to do - now or ever. This is a great section for aspiring authors. You don't want to commit to writing something that you won't finish, or to start writing a book without understanding "why" you want to write it. In this relatively short resource, Woodard talks about 4 Myths many people believe about publishing, how to identify what type of book you want to write (Fiction, Nonfiction, or Memoir), and how to proceed and what to expect with each type. She also covers how to choose between self-publishing and professional publishing. For many aspiring authors, this is a common question, and it's helpful to understand the differences. The main part of the book focuses on 6 Phases of writing and publishing, such as manuscript prep and requirements, cover and interior layout design, metadata creation, printing/production, distribution, and marketing. The last chapter talks about what to do once you decide you will write a book and ideas to get started. 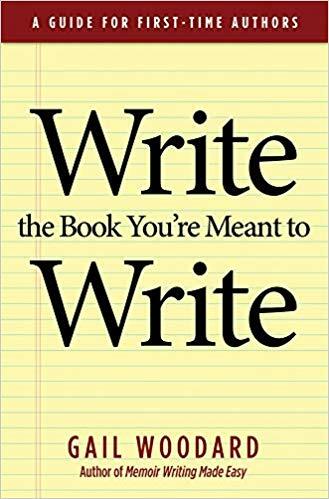 This handy little resource is definitely a good start for anyone thinking about writing a book now, or in the future. I enjoyed the layout and information in this book and I would recommend it to someone who wants to write a book. *A DRC was given for an honest review. Follow by Email - Get notified with new posts! Save $10 off your first order!! New books at Used prices! Share book reviews and ratings with mmarroquinbooks, and even join a book club on Goodreads. 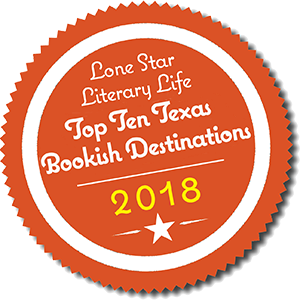 I am a Texas school librarian and a member of the Lone Star Literacy Book Bloggers tour group. I love reading, especially Young Adult, Manga, DIY, drawing/craft books, historical fiction, books on writing, and Christian non-fiction. Subscribe to my blog and follow me on Twitter @mmarroquinbooks for new post notifications!